The Washington Nationals got contributions from several players in their 8-2 win over the New York Yankees on Friday. One key blow was a three-run home run by Mike Carp, his first home run of the spring. Carp, a non-roster invitee, hit .175 with 13 RBI in 126 at-bats last season. Carp has played for the Red Sox, Mariners and Rangers in his six-year Major League career. His best season was in 2011 when hit .276 with 12 home runs and 46 RBI. 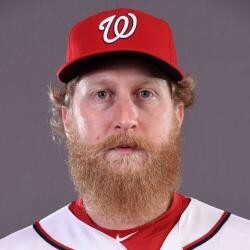 Carp most likely wont make the Nationals Opening Day roster and if he does, will be strictly a backup and pinch hitter, limiting his fantasy value.